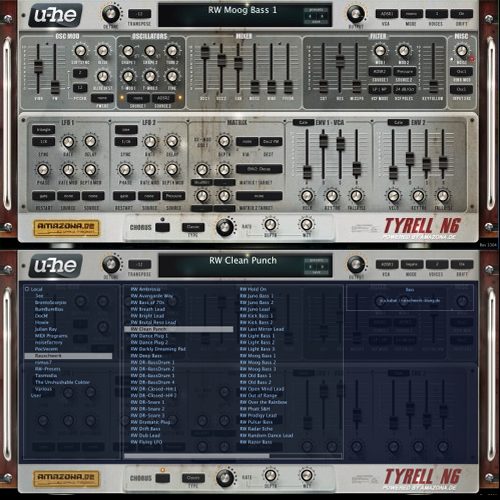 We have recently been on a mission to find some more quality free VST’s to offer to our visitors and we discovered this little gem from the guys at Amazona.de, the Tyrell N6, a free software synthesizer for Mac & PC. The synth was designed by the members of the Amazona.de site as a sort of über-synth and has some quality features and there is a free pack of presets for it we found too. The N6 is not some additional synth plug-in, but a sound generator, which was jointly developed with readers and, ultimately, programmed by Urs Heckmann (mastermind of U-He). This one is so good for a free release we just had to share it!